Hello PlayStation fans, Dom here from Ninja Theory. I wanted to take the opportunity to update you on the progress of Hellblade: Senua’s Sacrifice, which we’ll be launching later this year on PS4. We’ve just hit the Alpha stage in the development of Hellblade: Senua’s Sacrifice. This is significant, because it means that for the first time the entire game is playable from beginning to end. That doesn’t mean that the game is finished, however. There’s still a huge amount of work to be done across Hellblade. Some parts of the game are starting to look and feel just as we envisioned, whereas others are still only built to a basic level. The important thing at this stage is that all of the areas are laid out and the design clearly defined. Two years of hard work by the Hellblade team is starting to pay off and we’re ready for the next stage: Beta. This is where we can focus on the player experience — looking at the game step-by-step, improving it along the way, honing how the game will look and feel to our players. It is at this stage that we will add a lot of the small details that make a big difference. Beyond Beta, we will move into the final stage of Hellblade’s development: Mastering. It is in this stage that we will iron out any remaining bugs, ensure that Hellblade performs optimally on PlayStation, and prepare for launch. We have a lot of work ahead and the team is putting all of our care into Hellblade to make it as special as it can be. We’re getting super excited about sharing Hellblade with you later this year and we look forward to bringing you further updates on the road to release. You want broken crappy games with main story only like 10-15hrs of play?.. FFXIV took 7 yrs and story was 10-15hrs..what a dissappointment. Oops scratch that, LOL. 10years and I meant FFXV. you either never played FFXV or you did yourself a serious disservice by rushing through the game. I’m at around 60 hours, give or take, and I haven’t even fully finished the campaign. FFXV is amazing, and many people love this game. Hell, it couldn’t have been that bad of a game if it got an 81 on Metacritic, that rating based on the average of 109 total critic reviews! So, yeah, next time you say “what a disappointment” consider the broader spectrum on what most people thought of the game before you just dismiss it as crap. Will you guys be sending Alpha codes to random players? I am actually quite interested in checking this game out. We won’t. As a story-led experience, we want everyone to have the chance to go through the journey at the same time. I’m so excited for this! I loved Heavenly Sword and everything surrounding it (the animated series!!). I can’t wait to get this! Keep up the work, guys, and girls. Take your time on this game, I’m looking forward to playing it later this year. Incredibly excited for the game and actually happy you guys pushed it back. Rarely do we (the gamer) get the short-end of the stick when games are pushed back a reasonable amount of time to really define and perfect your vision of the game. Plus there is just WAY too much to play right now. Looking forward to the updates. Hey, slow down. Give me enough time to play Horizon and Breath of the Wild and then release. Also, don’t release right along God of War. Some time before or some time after. Timing matters. saw some videos about the working you guys are doing, and i’m amazed. Definitely a day one buy! PLEASE MAKE A DMC 2! This is awesome – congratulations on reaching Alpha and love the open look into development that you’re extending to the community throughout the progress of Hellblade. A game that touches on mental health has had me highly intrigued since this was announced, can’t wait to play the final game later this year. Cheers Ninja Theory – keep up the great work! Another great PlayStation exclusive. PlayStation – “WHERE THE GAMES ARE AT” sorry switch and xbox1 fans. But damn slow down i need to beat Horizon Zero Dawn and Nioh first. I’ve been looking forward to this game from the first glimpse you gave us in 2015. What a great concept and the game is looking awesome! This is one of those games that needs the time to put the right finishing touches because of the deep emotional connection that it is attempting to make. For that reason, I’m trying to be patient, but I can’t wait to play this game. This game looks stunning! Cant wait! Fantastic news. Shoutout to Enslaved: Odyssey To The West. Still one of my favorites after all these years. Keep on keeping on, Ninja Theory. Super super duper psyched for this game! Loved Heavenly Sword and Enslaved even more than that! I can’t wait! Please just take all the time you need. I just want this to be an interesting and fun game to play, not another rush project that’ll just get knocked for how many issues there are. I’ve been waiting since the beginning, rushing it to the finish line has gone bad for so many games, please don’t follow suite. Hope they let us play the beta ! 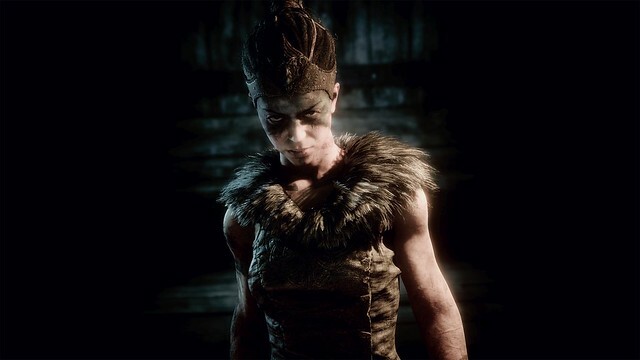 And to get the full game as soon as possible ( but no hurries), i will waiting to get my disk as long it takes, But it’s important too take all the time you need to make Hellblade a great game ! Excited for this game! I agree, take the time you need to make it a great game but (obviously you won’t cause why would you) don’t listen to these people telling you to delay the game release so they can finish previously released games. What nonsense. Like they’re the only ppl living on the planet. Like yeah, the developers are really gonna delay the game until you give the say so. How selfish our world has become today. Rock on, Ninja Theory! Really looking forward to seeing more about this game. I really enjoyed Heavenly Sword. so everyone gets a a chance for alpha? Can we get co-op mode? Everyone “big” titles seem to bring coop after release as a dlc…..
To this day, I still totally love and adore Heavenly Sword. In fact, it’s the first video game my then-4-year-old got into and she completed (with my help on the boss fights, but still). 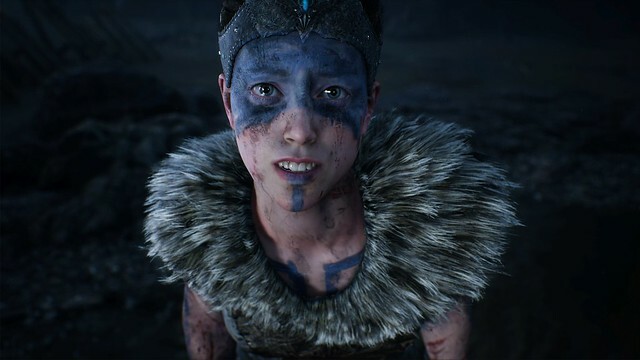 I have been following Hellblade’s development and I am insanely anxious to play this title! Thank you for working so hard to make it just right. Question: Do you plan to add enhancements for PS4 Pro? If so, at launch or as a patch? Sounds like we won’t see this game till next year. Alpha is really only insight of the end, but honestly not the end or even the beginning of it. Will the Beta be far enough along by June so we can see it at E3? Take your time. I really hope this game is successful for you guys. p.s. would love to see a DmC devil may cry 2…. I loved enslaved and heavenly sword, dint like the remake of dmc and while the game is beautiful from a graphics stand point, I feel like there have been too many mental illness related game’s in the past year’s so im gonna pass. Take the time to build and finish the game, theres plenty of game coming out soon so we have alot to play till this game comes out, im really excited for this so i dont mind the delay to polish the game. Wish you guys the best of time making the game. Is PS4 pro support planned? Thanks for the update! This is one of my most anticipated titles, and your team does strong, amazing and much-welcomed female characters so well. I guess I’ll say I CAN wait! Thank you for taking the time on this game. Been so excited since announced. I’m sure most gamers out there appreciate the dedication and passion devoted to this game. Can’t wait to play!!! With the way Ninja Theory put new life into DMC, I’m very excited for Hellblade. A lot of time and hard work gets put in by this company. Hopefully we will see a DMC2 at some point in the near future in more of an open world(worlds) setting. So is it coming out this year? Any chance you guys can get the rights back for Heavenly Sword and give us the sequel you would want? I have ideas for a sequel, and I’m sure you do too. Sony’s take on-and retconning of the story in the DVD/movie was interesting but ultimately not near as good as your original. So I want to see where you take the story, not Sony. Of course I’d give it a chance if Sony announced an in-house sequel though. Woohoo! I’m so glad you all are able to finish this game. I enjoy all that you do. I hope the combat was improved. Only just found out about this game, but was completely hooked by the trailer and other videos you have released! It looks stunning and amazingly fantastic! Can’t wait to play it!